Job satisfaction: give your employees a sense of accomplishment by showing what’s been completed. Motivating employees is the most important ability of any successful manager today. In several business areas (software development, for example) competition for experienced employees is very hot. And you cannot actually lure an experienced software developer to your company by only using traditional motivational methods such as a high salary, medical insurance, free lunches, etc. Almost every single employee wants to feel that the company needs them, that they are good and that they work on a great product in a great team. And you can’t achieve it by simply increasing the salary (although, of course, you shouldn’t forget to do it sometimes). So – what’s the most effective way to achieve that? The problem can be solved by conducting regular team meetings where each employee can review what they have done, what the others have done and how it’s going. And there is a simple way to prepare for those meetings – use a business process management system, track each employee’ activities and prepare great reports to show in the meeting. 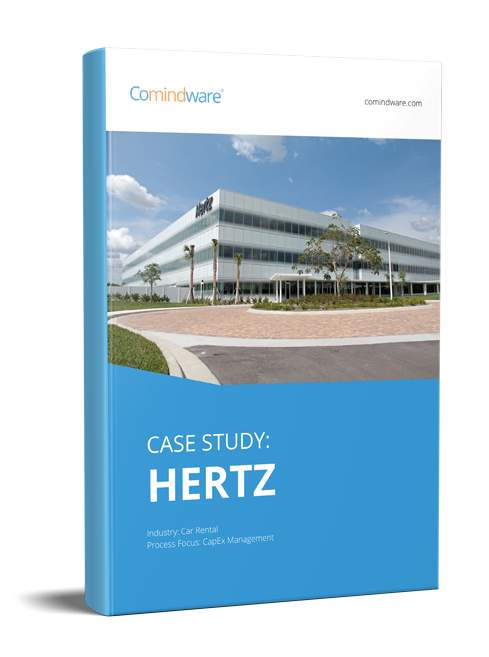 And now I’m going to tell you why you need to choose Comindware Tracker for that. Another type of report is visual, presented in a dashboard view. Whilst a list contains detailed information, and is more useful for employees or their direct managers, a dashboard contains aggregated information, presented in the form of bar charts, pie charts and other types of diagrams. 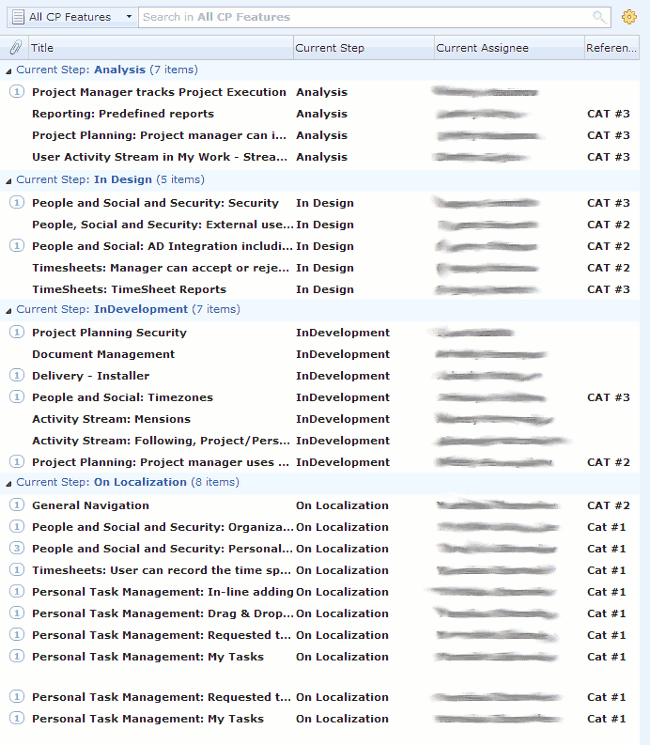 For example, you can see how many tasks are still in progress, how many tasks have been completed. And, what is great for us is to see which employee has completed more tasks than others. So, during the meeting you can make a compliment to the employee, who’s worked well and see how you can help employees with poorer performance. As with the lists, any employee can also create their own dashboards. For example, your product managers (I work in the software development company, so I will use real-life examples from my current job) can create dashboards which display how many bugs there are in the current product iteration, and what the expected product release date is, etc. 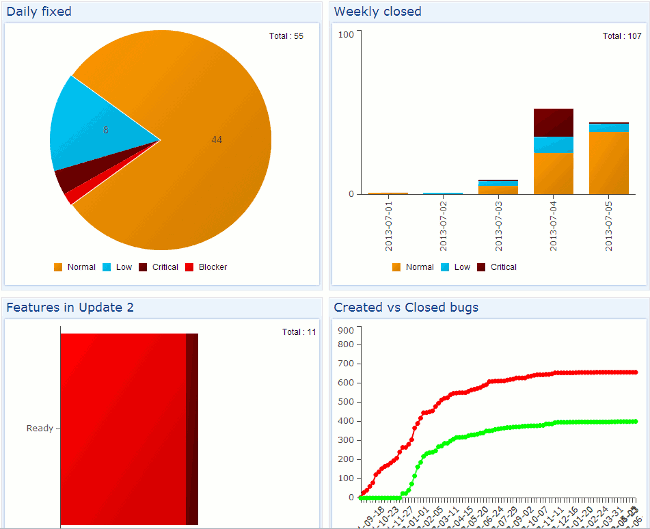 To make conclusions, there are two types of reports in Comindware Tracker. I hope, you will find a place for such a great tool in your organization. But that’s not the most important thing I want to say to you today. The most important thing is that if you are a leader, you must ensure that your employees have job satisfaction, feel part of your team, and an important part of your team. And, to be a successful leader, you have to use any means to achieve that. And the regular meetings, on which Comindware Tracker reports are shown, is a great way to manage your employees and make them happier and give them job satisfaction with their daily routine tasks and overall achievements which become more evident.